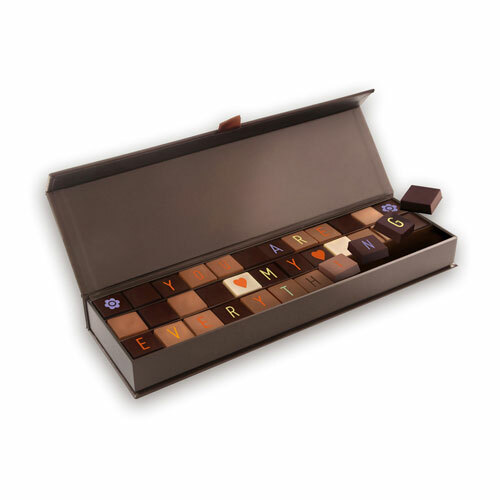 Surprise your loved one with a personal message made out of delicious chocolates! 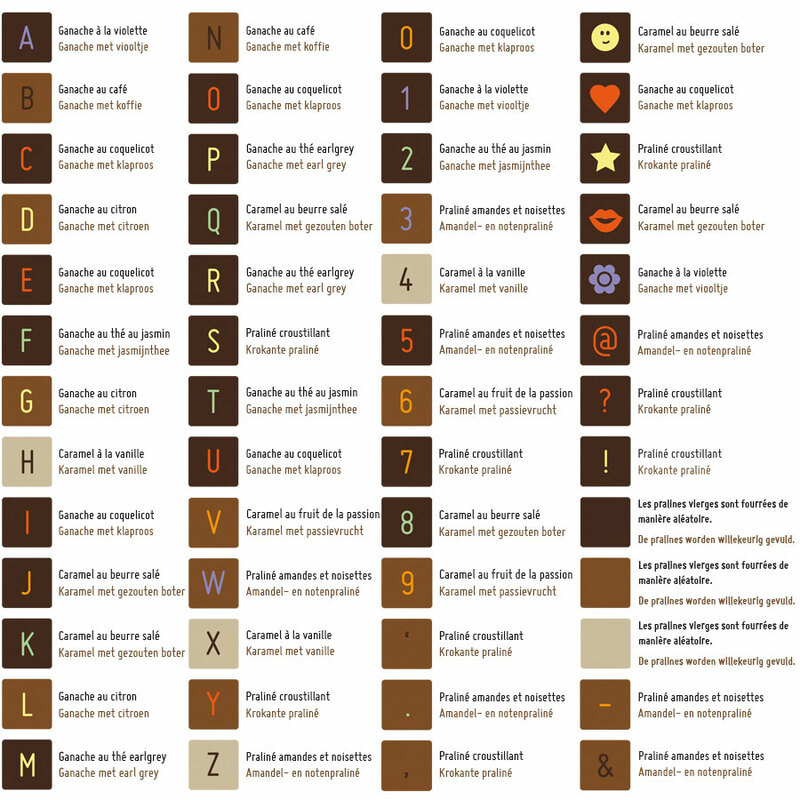 This tasteful telegram contains 36 fine chocolates, each with its own flavor, to communicate your personal message in a beautiful and unique, and tasty, way. 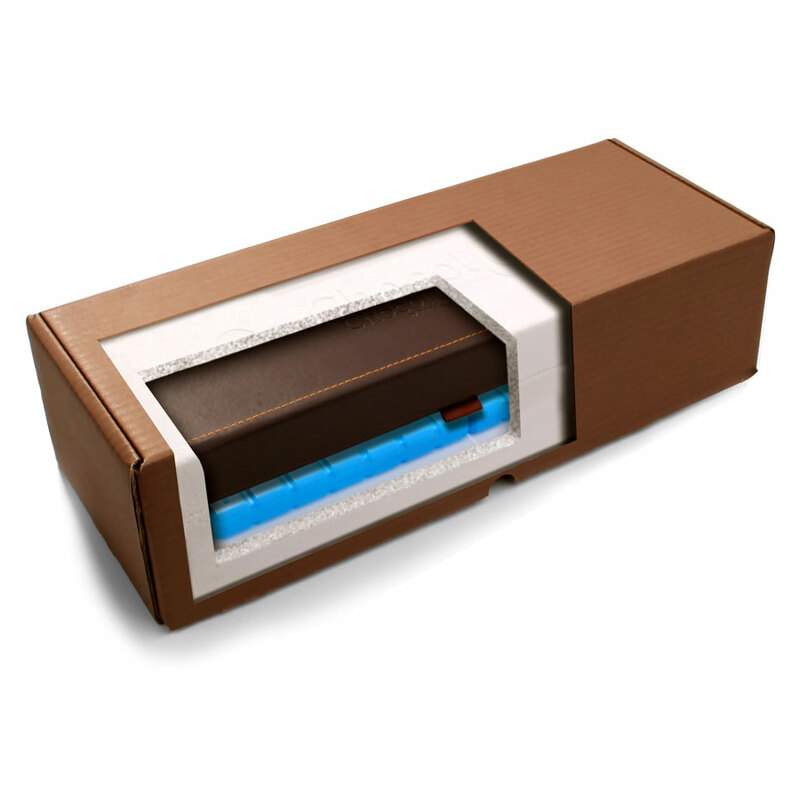 The luxurious leather gift box imparts an elegant look and ensures your message arrives safely at its destination. 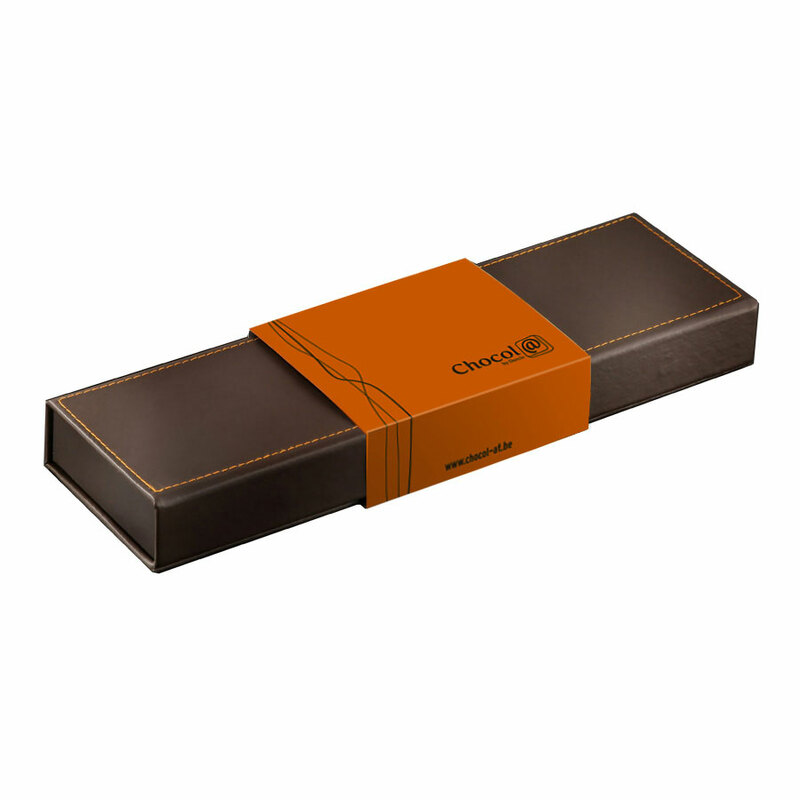 We preselected a sleeve that adds a sophisticated touch. If you prefer another look, select a different one at the bottom of the page.